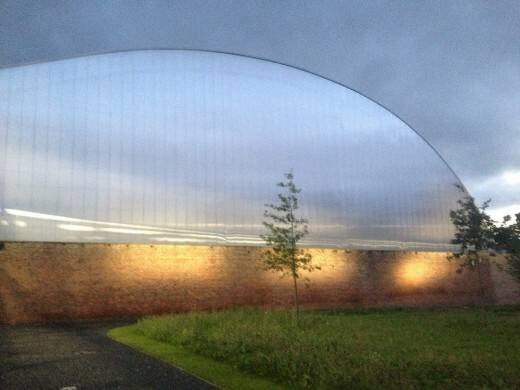 •	Award-winning Sports Performance Centre, Oriam, has been shortlisted for Project of the Year at the CIBSE 2018 Building Performance Awards. 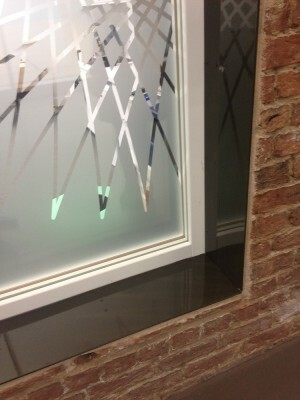 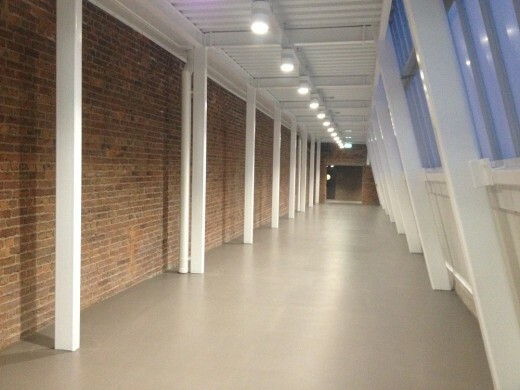 •	Max Fordham implemented a Soft Landings process resulting in high occupant satisfaction and low energy in use. •	Oriam combines striking aesthetics with multi-functionality and is home to a number of sports all year round. 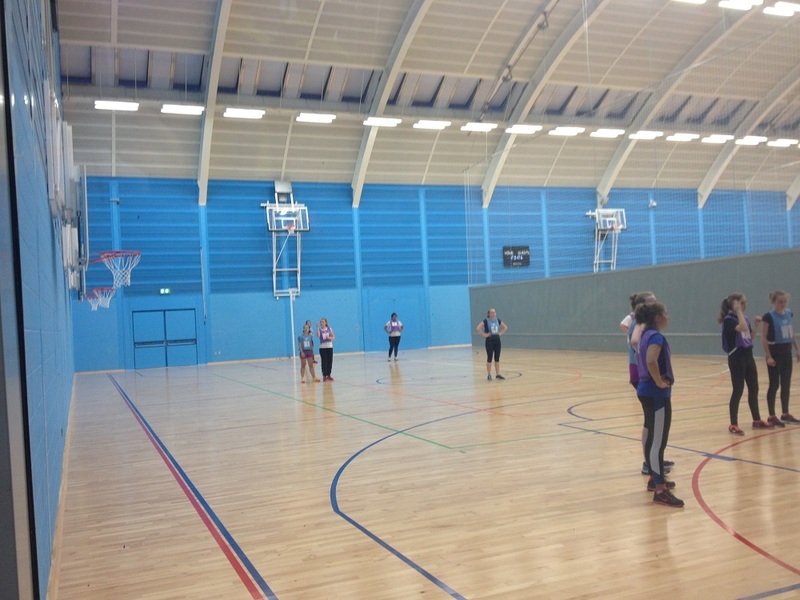 1st Feburary 2018 – Opened in Autumn 2016, Oriam is home to the governing bodies of Scottish football and rugby union, as well as a host of other sports including volleyball, squash and basketball. 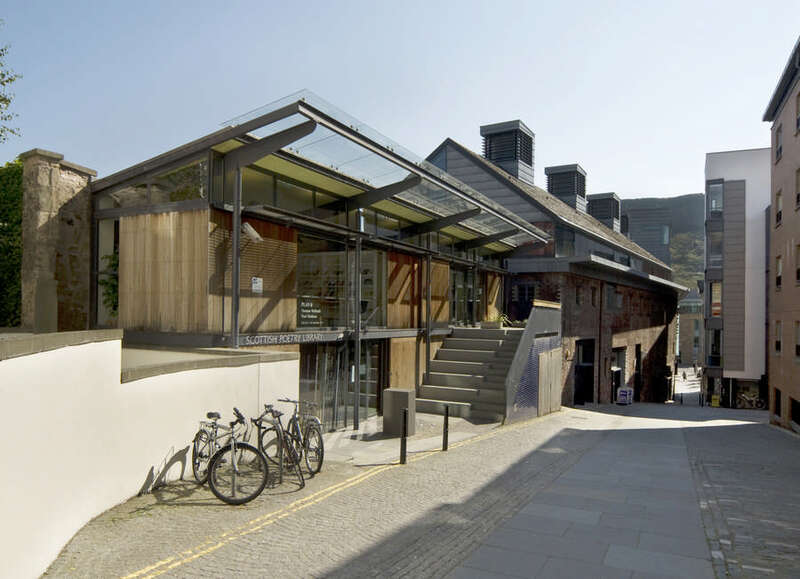 Building services engineers Max Fordham collaborated with Reiach and Hall Architects to design the centre, which has since been described by First Minister Nicola Sturgeon as “absolutely awe inspiring” and “the jewel in the crown of Scotland’s sports facilities”. 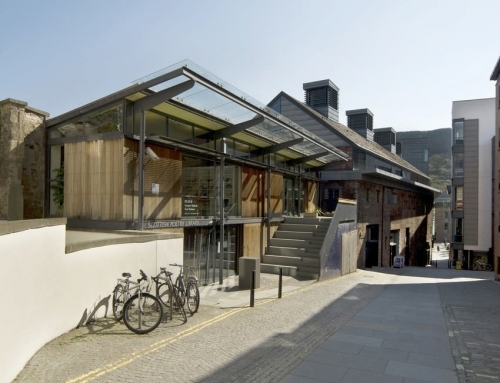 The project is already a recognised success, winning Best New Building at the BCI awards, amongst several other awards and nominations. 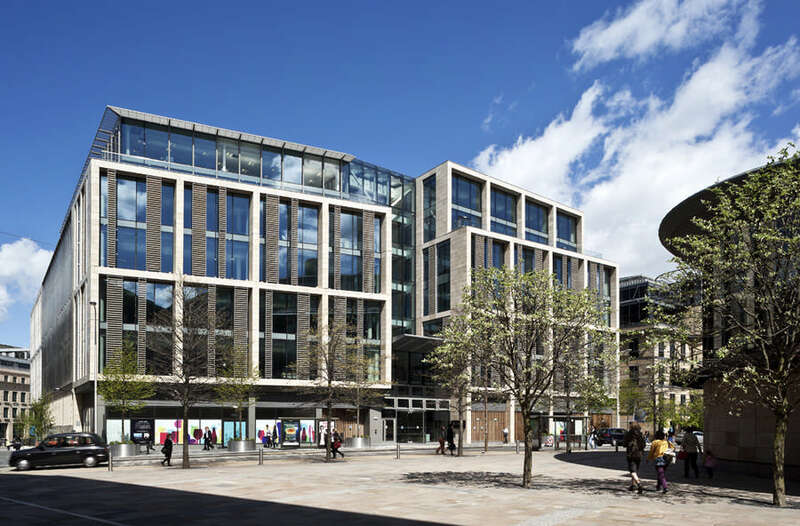 Max Fordham has since been nominated for Project of the Year (Leisure category) at the CIBSE (Chartered Institute of Building Services Engineers) Building Performance Awards, which will be held at Grosvenor House in February 2018. 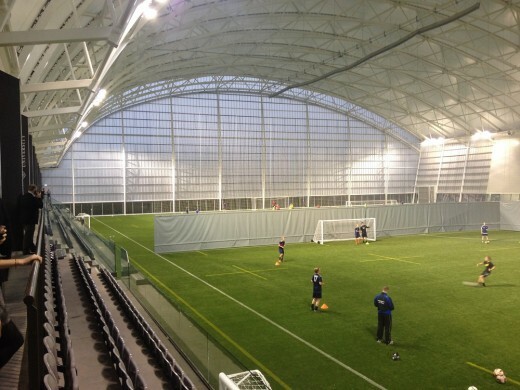 Inspired by a spectacular free kick against France, the smooth bend in roof of Oriam’s football hall mirrors the equiangular spiral achieved by Brazil’s Roberto Carlos in 1997. 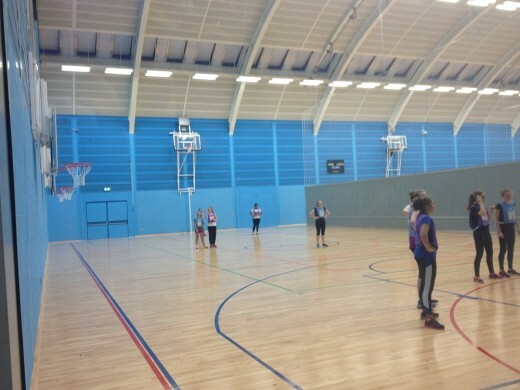 Thought at the time to have “defied physics”, the kick has since been proven to be far from a fluke, and in fact a display of sheer deliberate mastery, much like the sustainability design features of the sports centre. 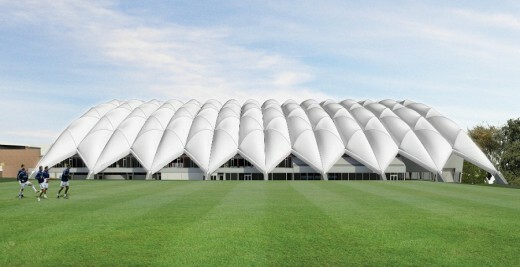 The curved roof of the football hall is an aesthetic feat. 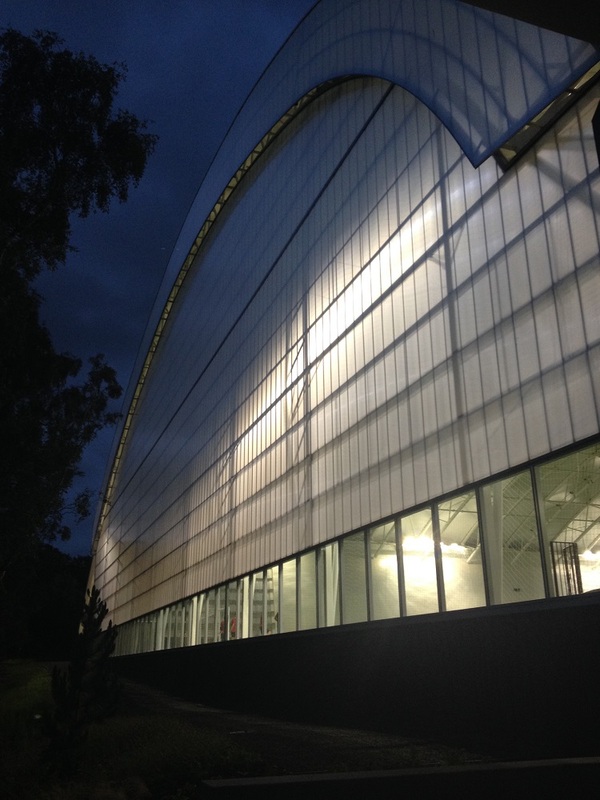 A large translucent membrane sits over the hall, with a transparency which is tuned specifically to control solar gain while delivering a daylight factor sufficient to play sport almost all year round, without the need for artificial lighting. 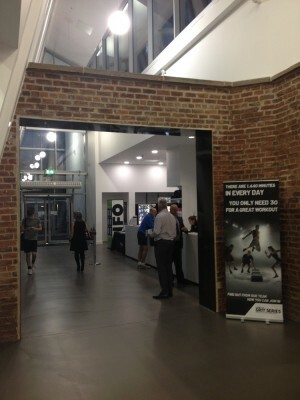 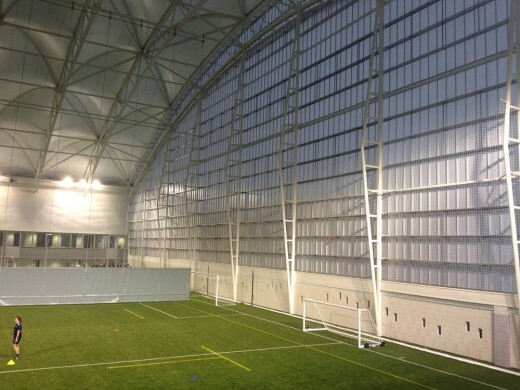 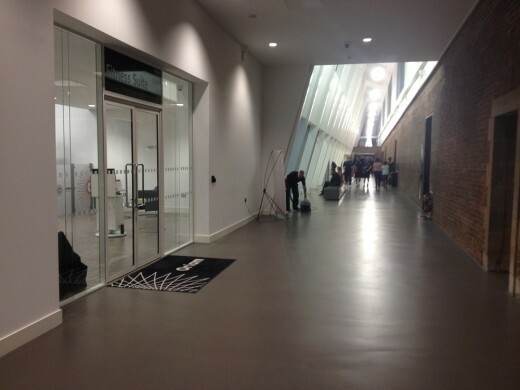 The natural ventilation in the football hall has been integrated into the gables and eaves, and can be customised to suit specific uses of the space, reducing unwanted air movement on the field of play in winter while facilitating large volumes of fresh air in summer to prevent overheating. 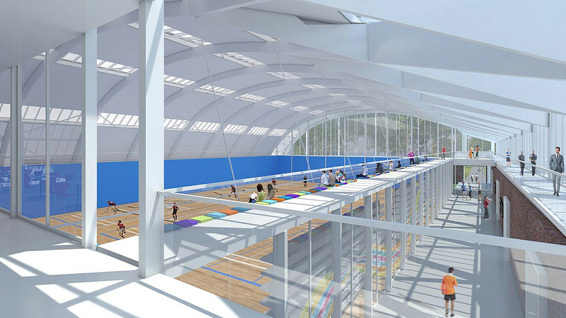 The sports hall incorporates diffusing glass which controls glare, while maintaining enough daylight to eradicate the need for artificial lighting during daylight hours. 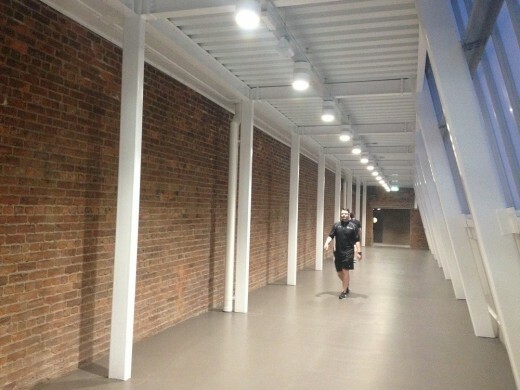 When in use, the lighting is controlled to suit the level of sporting taking place. Individual sections can be lit in isolation according to the occupation of the space. The roof’s arched shape represents a very compact building form, reducing the surface area and therefore heat loss. 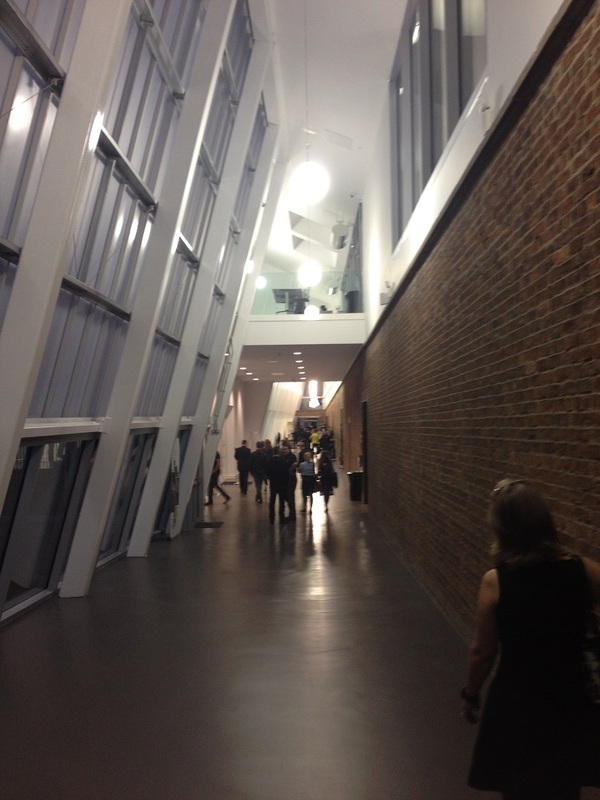 The close relationship between the heated and unheated spaces throughout the building required careful detailing, ensuring environmental separation to avoid cold drafts and consequential heat loss. 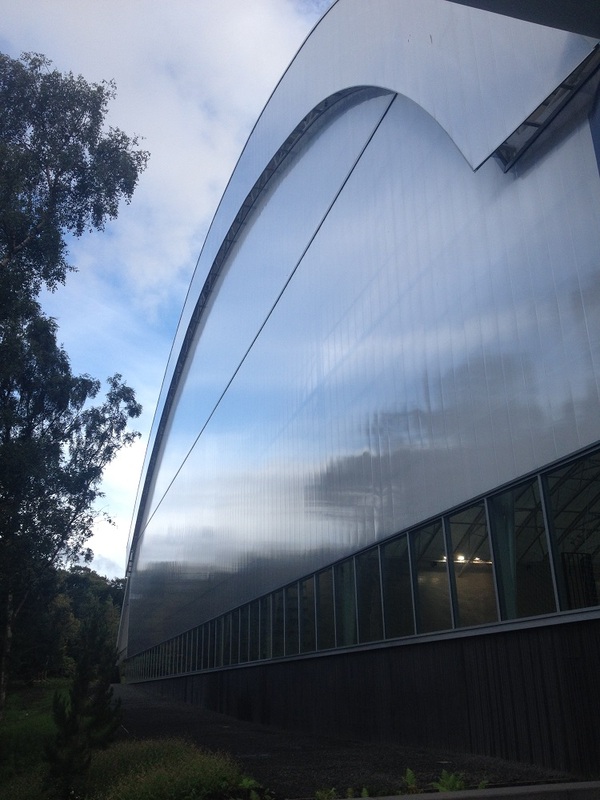 The rooflights in the sports hall incorporate automatic actuators which provide natural ventilation, adequate for a range of sports and events with up 800 guests, including the graduation ceremonies. 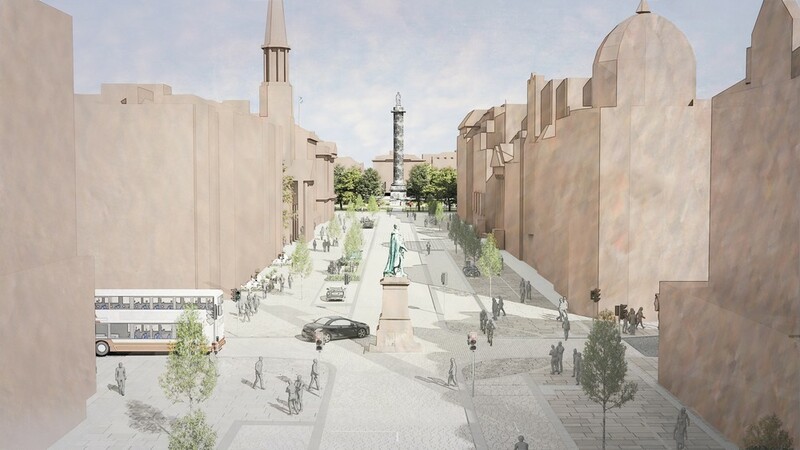 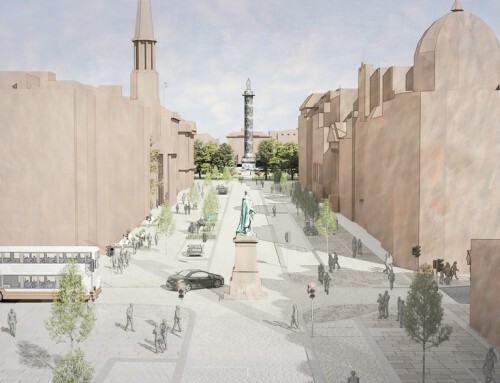 Along with M&E and environmental design, Max Fordham were also appointed as acoustic consultants for the project. 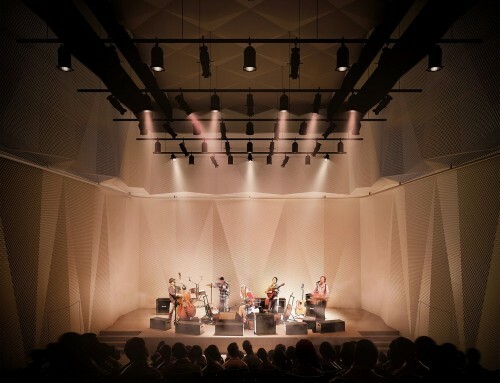 The acoustic environments for the internal spaces of Oriam have been creatively designed to ensure acoustic comfort and speech intelligibility. The building uses acoustically absorptive surfaces, and angled walls in the sports halls and the reception area reduce the reverberation to improve acoustic comfort for their occupants. 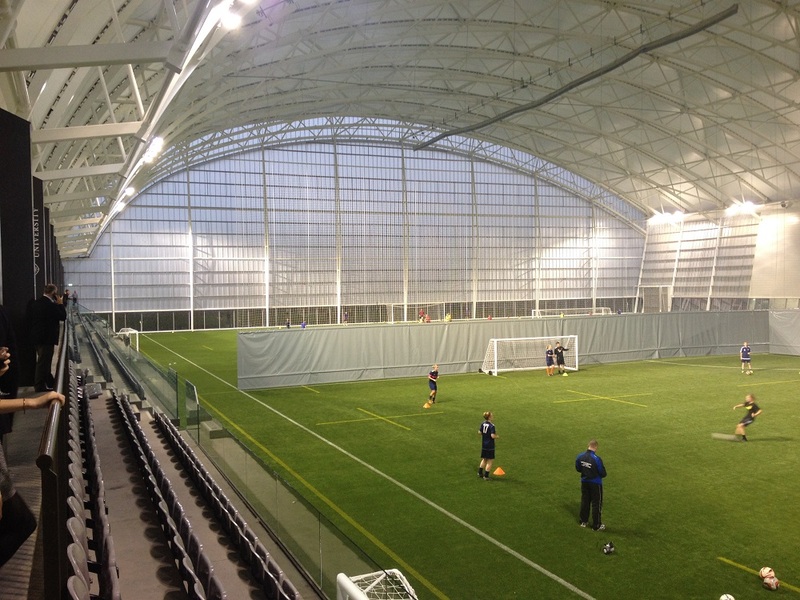 As a National Performance Centre, Oriam demands the highest quality sporting environments for a wide range of sports and occupancies. These high quality sporting environments require very specific environmental conditions for light, fresh air, temperature and noise. 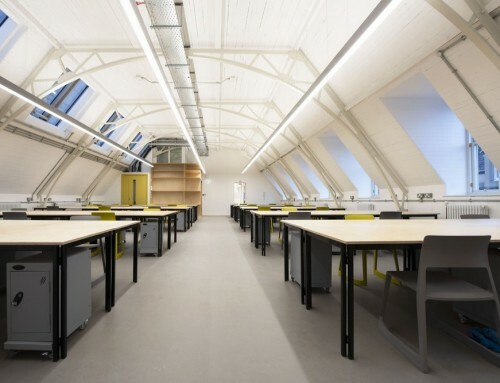 Max Fordham have designed the mechanical and electrical systems to meet these demands in harmony with the natural ventilation and daylight. 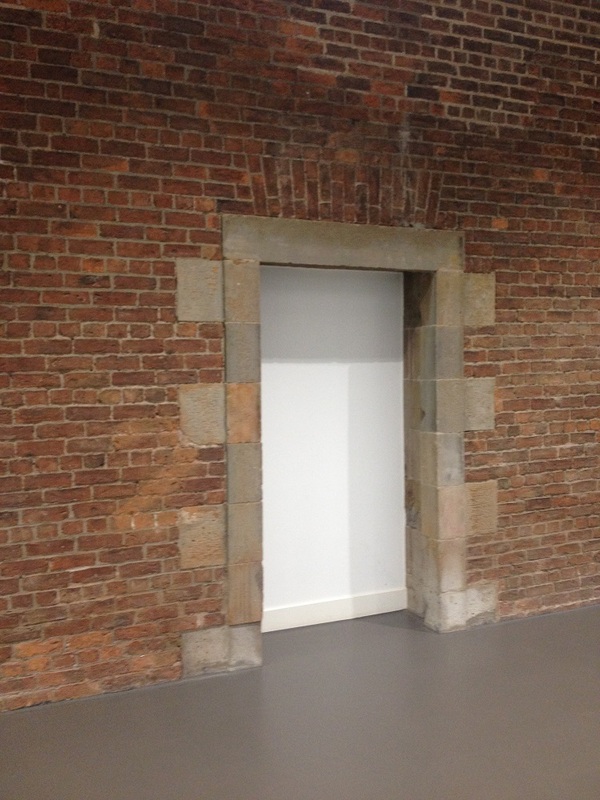 Instrumental in putting in place these details was Max Fordham’s Soft Landings process which was applied to all stages of the project from the early briefing with sports governing bodies and estates staff through to the commissioning, completion, handover and aftercare. The building was completed in August 2016, but the team have continued to support the building occupants and monitor environmental performance, working alongside the facilities team, contractors and controls specialist to identify issues that need resolving to achieve the best possible building performance, including occupant satisfaction and energy efficiency, in the shortest time. 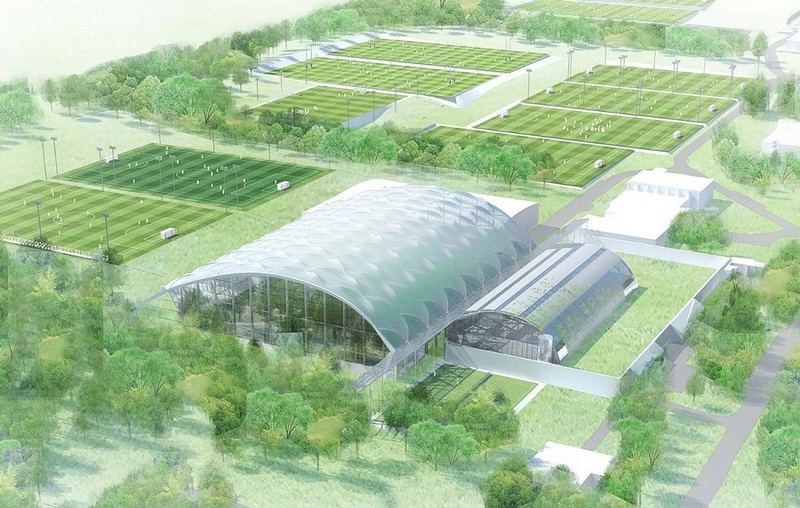 Mark Palmer, a Senior Partner at Max Fordham said ‘The key M&E design challenge for Oriam was to deliver the exacting environmental conditions demanded by the various elite sports, while minimising the annual energy consumption. 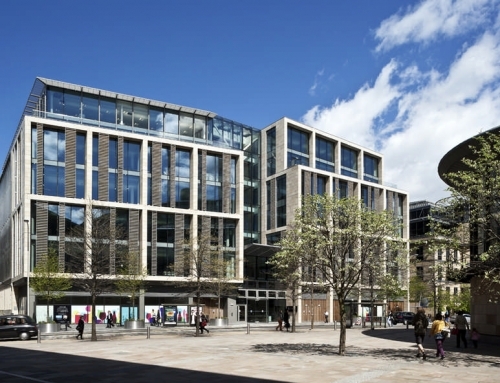 Through our Soft Landings approach in the early stages of the project we were able to establish the needs for each activity and likely occupancy profiles.